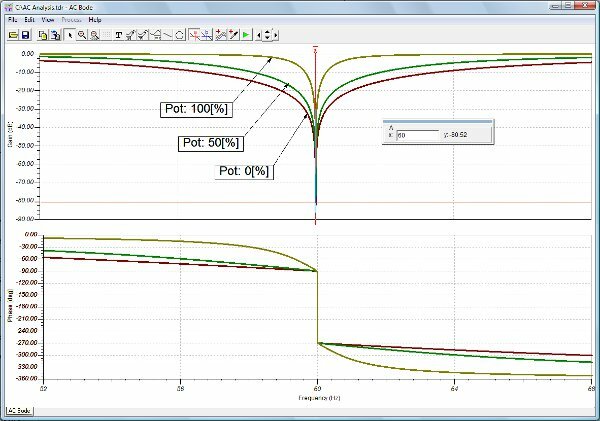 TINA provides an extremely powerful multicore Spice engine with excellent convergence properties and highly efficient and accurate simulation. In addition to Spice components TINA may also include Verilog A and Verilog AMS components. Of course digital components, including VHDL and Verilog components can also be added to circuits. 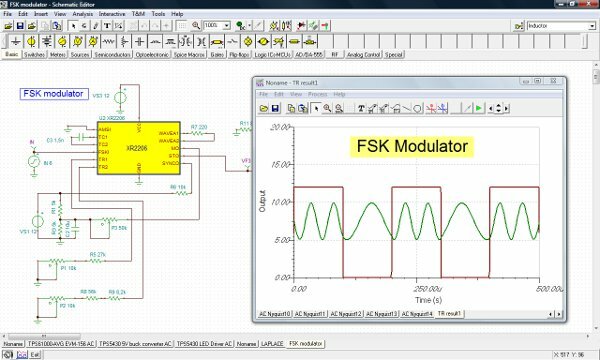 These circuits are discussed under Mixed Signal Simulation. This page is dedicated to the analog simulation features of TINA. For more information on the TINA software please visit our main TINA page: www.tina.com or click the links above. 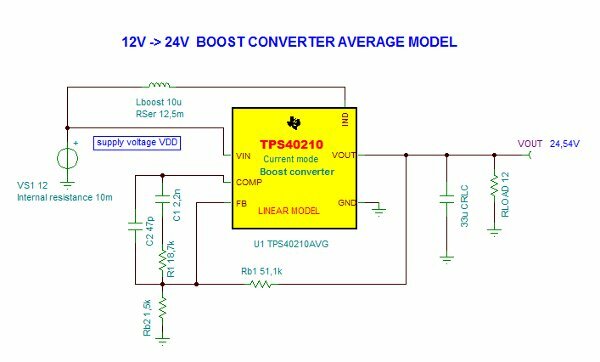 DC analysis calculates the DC operating point and the transfer characteristic of analog circuits. 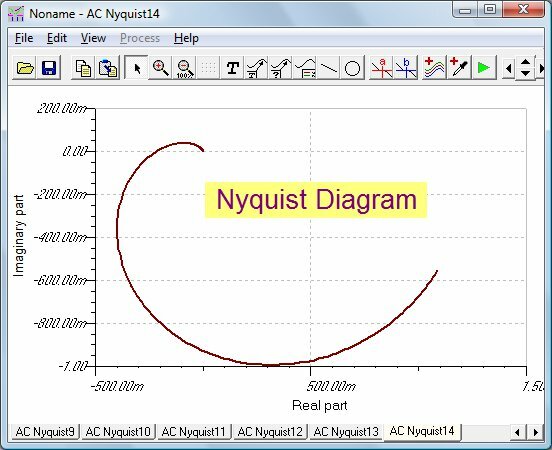 You can display the calculated nodal voltages or component currents in a table or at any node by selecting the node with the cursor. Powerful methods (source- and Gmin stepping, adaptive voltage and step-size limiting) are implemented to find the operating point even for strongly nonlinear cases with hard convergence properties. You can also calculate and display in a diagram the temperature dependence of any voltages or currents in your circuit. In the transient and mixed mode of TINA, you can calculate the circuit time response to the input waveform, including pulse, unit step, sinusoid, triangle, square, general trapezoidal waveform, Spice PWL table, .WAV files and user-defined excitation) parameterized as required. 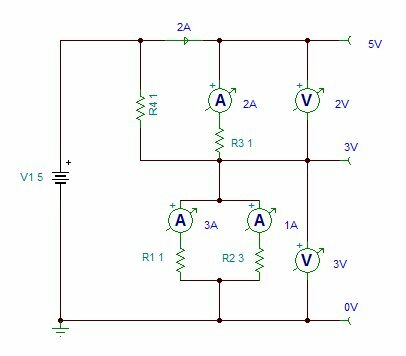 You can also use components with initial conditions to accelerate circuit startup. How to analyze circuits in time domain with TINA?